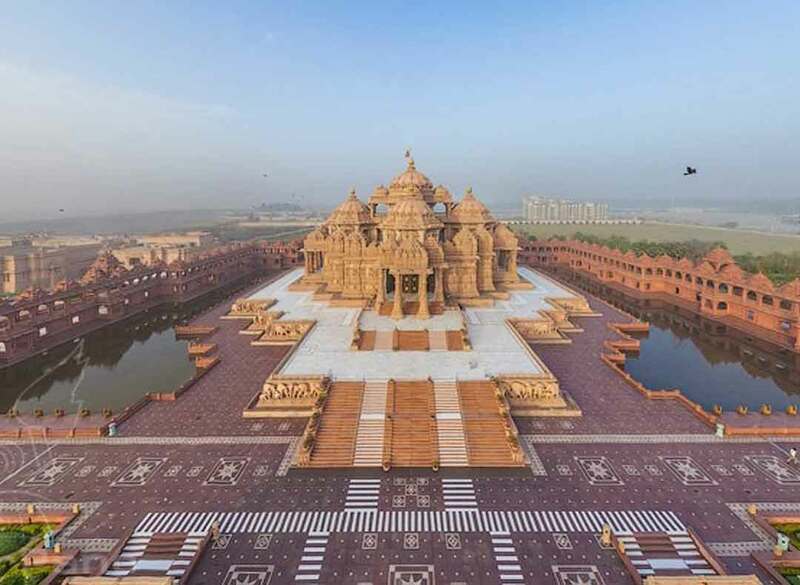 A specimen of fine craftsmanship, the Akshardham temple in Gandhinagar is one of the largest and most prominent temples in the entire state of Gujarat. 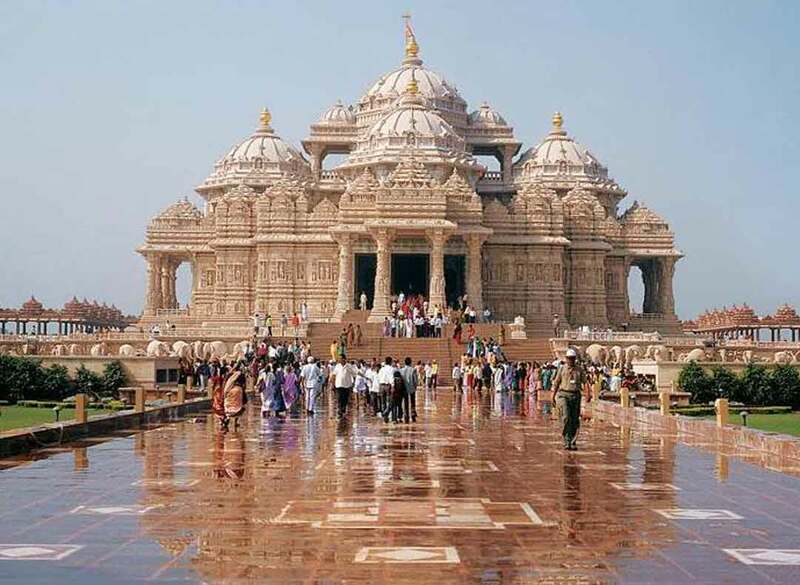 Located in Gandhinagar city, the famous Akshardham temple is a place, which consists of a number of things under one roof like art, education, architecture, exhibitions and research. It is truly an architectural masterpiece. 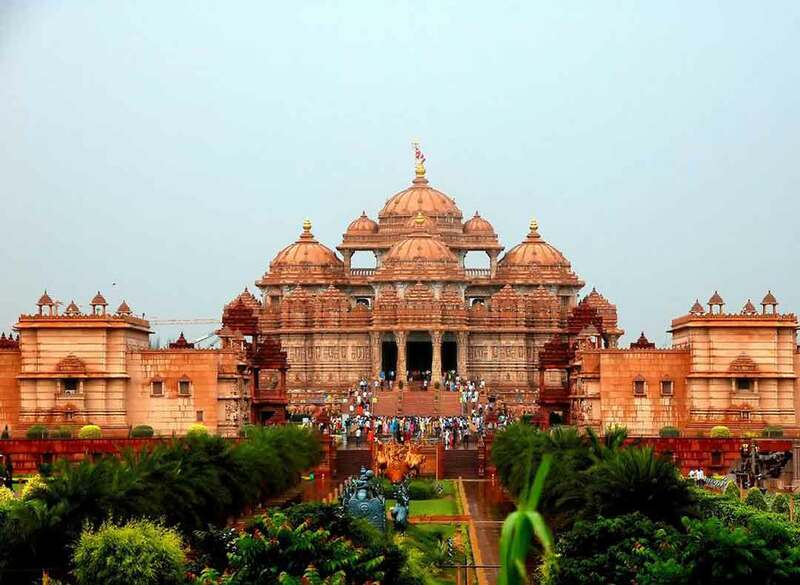 Established in the year 1992, the Akshardham temple was built in the dedication of Lord Swaminarayan. The credit for laying the foundation of the famous Akshardham temple at Gandhinahar goes to the Bochasanwasi Akshar-Purushottam Swaminarayan Sanstha (BAPS). The highlights of the temple consist of the seven feet long idol of Lord Swaminarayan, the chief deity at the Akshardham temple. Made by using tonnes of pink stones, Akshardham temple is one of the most magnificent edifices of modern India. It measures 240 feet in length, 131 feet in width and 108 feet in height. This intricately carved imperial structure stands regally amid the green garden. 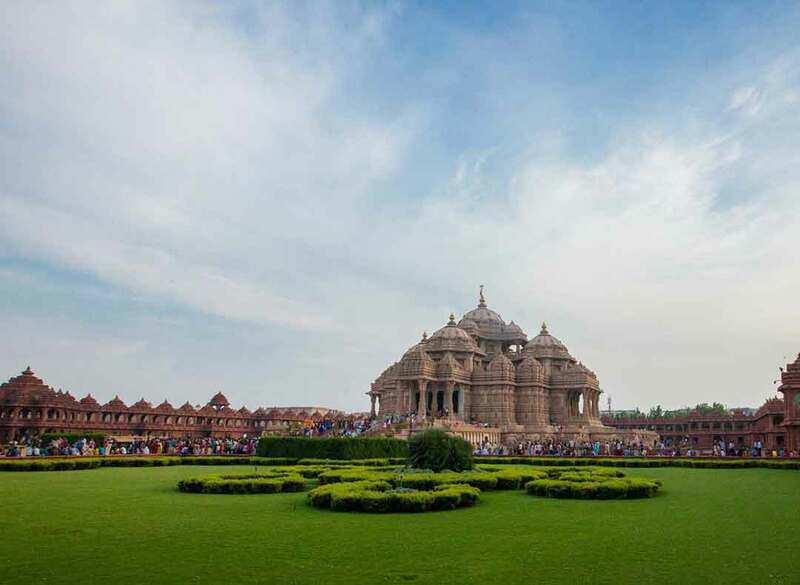 Within the complex of Akshardham, lies a beautiful garden known as Sahajanand Van. On one hand, where its beauty lends it the look of a garden and on the other it serves as a park for kids. It encompasses a herbal garden, lake and a waterfall. 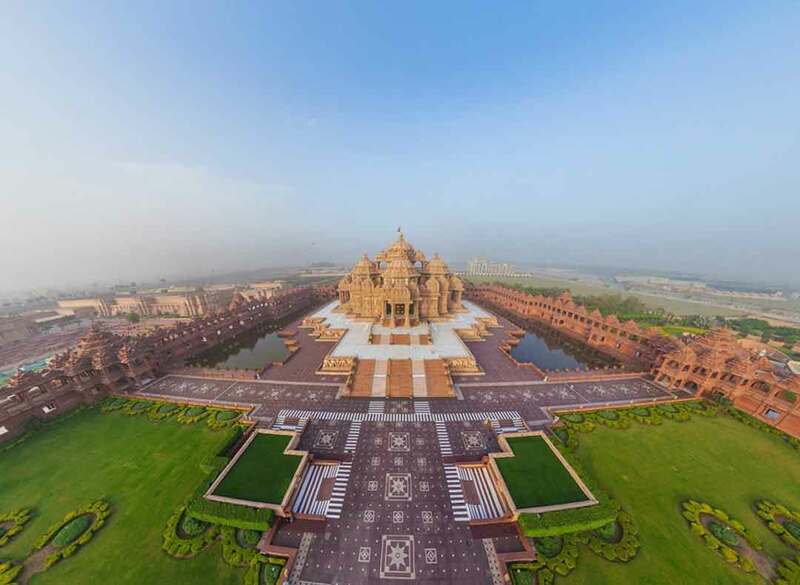 There is also the ultramodern Akshardham Center for Applied Research in Social Harmony (AARSH). 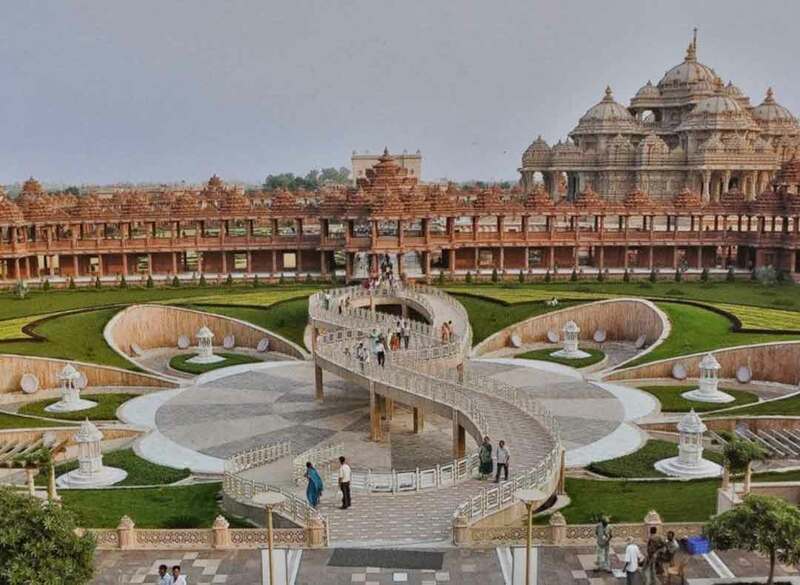 If you want to relax from the rush of the urban confusion then Akshardham temple at Gandhinagar surely is a place to be in.